Delicious together take a break, go where you want and with the camper about where it is possible. 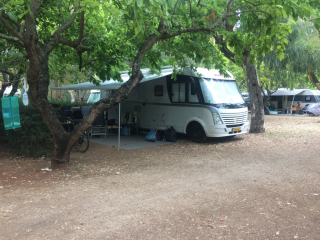 Sometimes on a forest edge, sometimes on a farm yard, near the city and occasionally on a campsite with all facilities at hand. But especially relaxing on a journey with your own stuff. 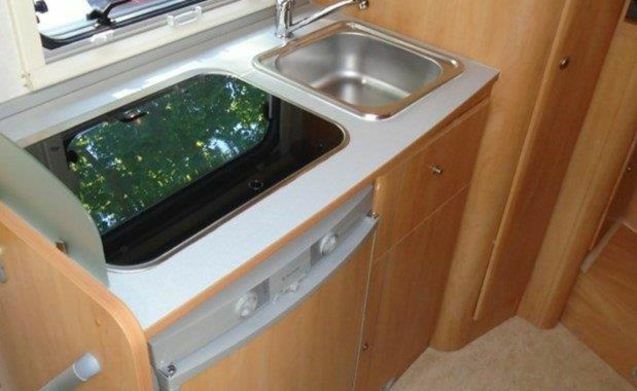 Our camper is so complete that you only need to pack your clothes and toiletries and the holiday can begin !! 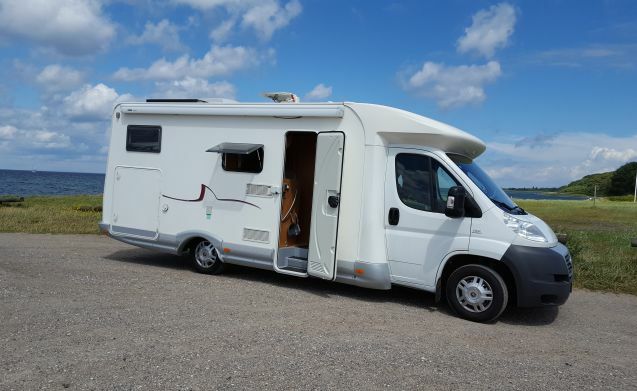 The camper is - despite its length of 7.40 m - manoeuvrable and drives comfortably and is fully equipped. There are 4 seats while driving, all 4 with three-point seat belts. The comfortable, 2 fixed beds (85 x 200/210 cm) ensure a good night's sleep. Possibly one king bed can be made of the beds (220 x 200/210 cm). More than enough for 2 adults and a child up to 5 years. You can also make an extra sleeping place (130 x 200 cm) for 2 people. 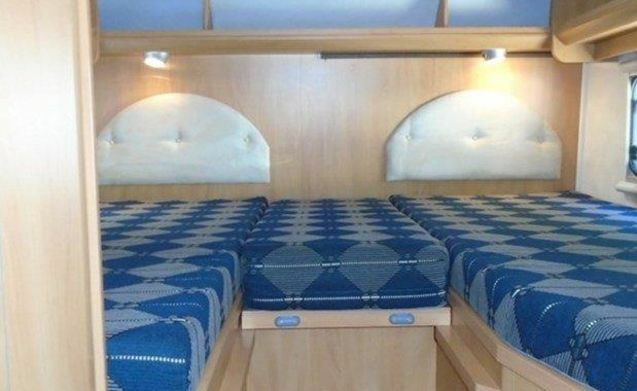 The number of sleeping places varies between 4 and 5, depending on the age of the passengers. Bed linen: the permanent beds are made upon departure; Bed linen is available for the 2 extra beds. 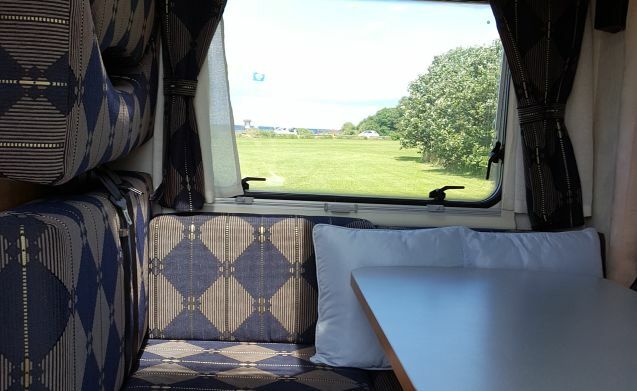 A small tent can also be supplied for extra passengers. The air conditioning in the living area prevents you from waking up in the sweat. Tacky in the sun? Then you can take a refreshing shower in the bathroom. A hot-air oven / microwave is available for breakfast with freshly baked bread rolls. Of course, pizzas and casseroles can also be prepared while you sit outside. For the real hobby cook, a 3-burner gas cooker and fridge with freezer compartment is available. In addition, a complete inventory with coffee maker (Senseo), milk foamer and kettle, kitchen towels, tea towels and dish cloths, crockery, pans, cutlery, etc. Cooking and heating (and on the way the refrigerator) is done on propane gas. 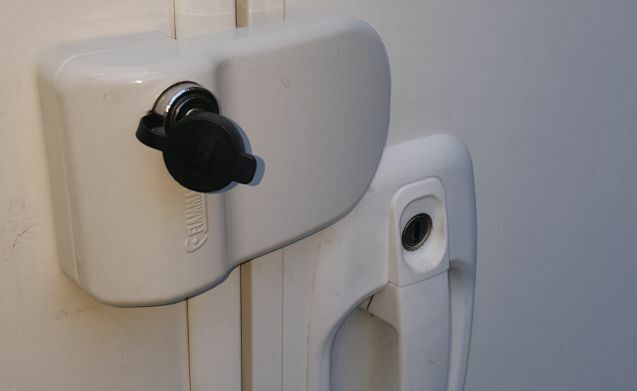 Handy, because this is available in every country, so you will never be without gas abroad! 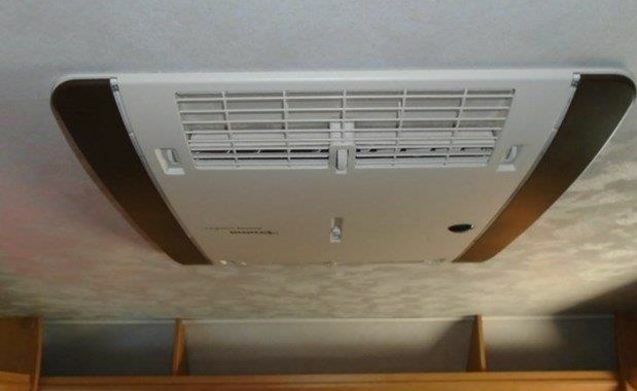 The motorhome has a hot air heating system with a ring line, for comfortable camping, even in the colder spring and autumn. 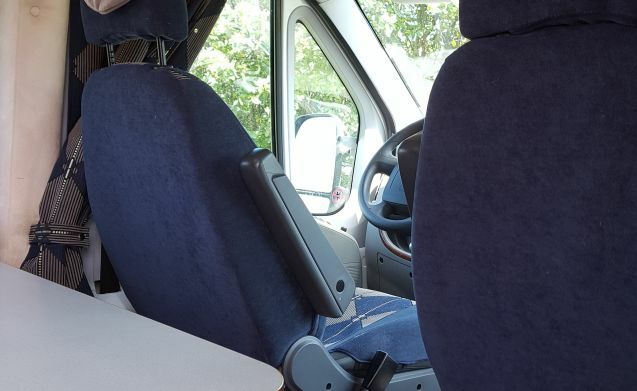 In the front our camper has two rotatable pilot chairs, with this you can make a cozy round seat in no time. TV with satellite receiver, freely received channels via various satellites. In addition, from 1 May to 31 August, a subscription via joyne.nl: including NPO, RTL, SBS, Veronica, Canvas, One and NL regional channels. 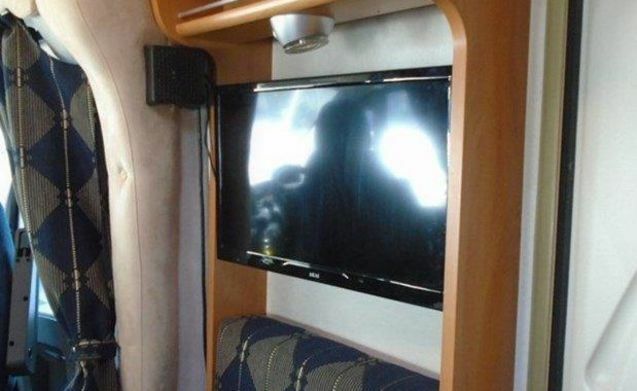 The TV also has a built-in DVD player, so take at least the one DVD that you've wanted to watch for so long. The spacious garage (220 x 100 x 95 cm, LxBXH) offers sufficient storage space for larger items, eg a bicycle trailer. Present: 4 camping chairs and table and 2 bicycles (7 gears). 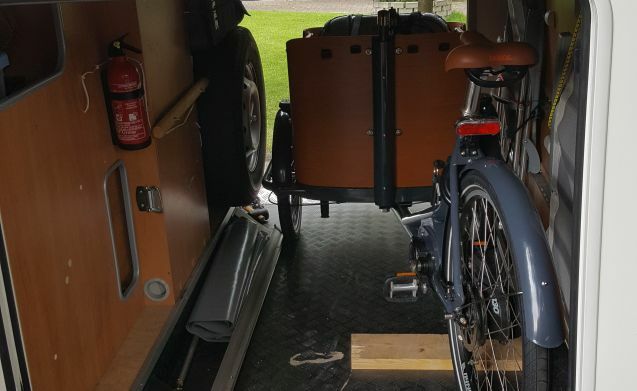 There is also a foldable bike carrier available for 2 extra bikes, which you can take along yourself. 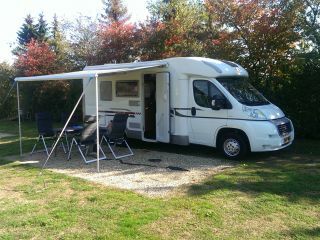 Our camper has a large awning, 385 cm wide, and can be extended to a depth of 236 cm. 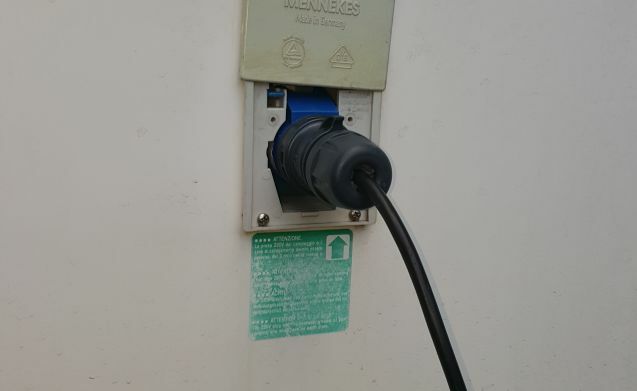 Furthermore, all necessary camper accessories, such as: 2 gas bottles of 10 kg, 220 V plug with electricity cable + cable (total length 20 m), connection box, warning triangle, levelers for rolling terrain etc. With a rental period of at least 7 days is the first gas bottle for our account; if you use more gas, we calculate € 3, = per kg. In short, all ingredients are present to experience an unforgettable holiday with this camper! Will you pick up the camper by car? 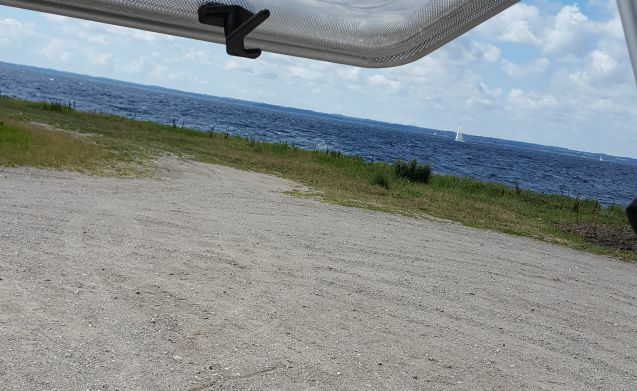 Then you can park your car for free during the trip in the covered and locked camper parking. 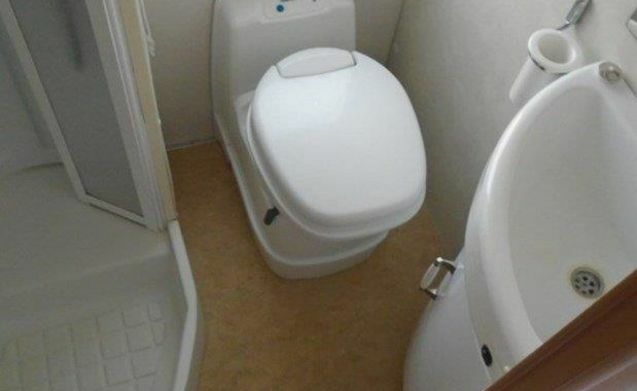 The camper is delivered to the tenant from outside and inside clean, full fuel tank, empty waste water tank, full clean water tank, empty and clean toilet cassette. 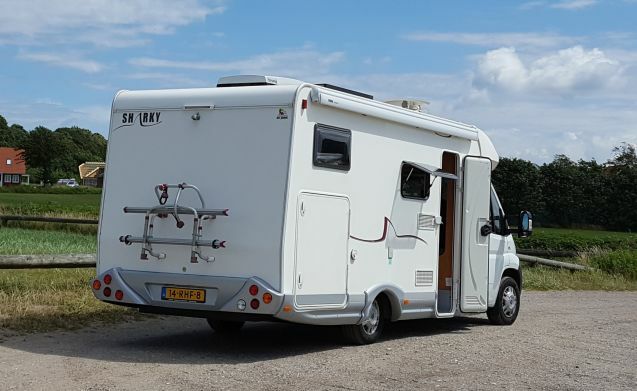 The camper must be returned by the tenant in the same condition as the camper was taken with. 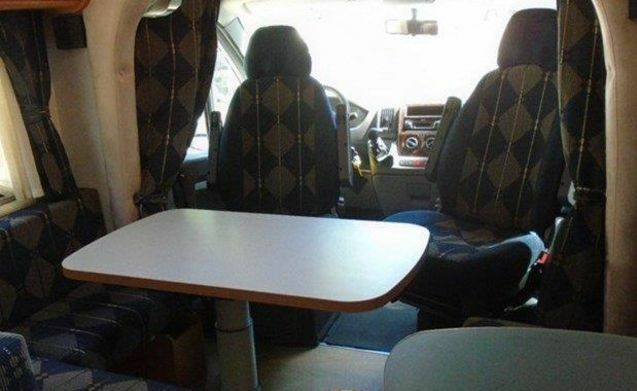 You can then get in your car from the camper. 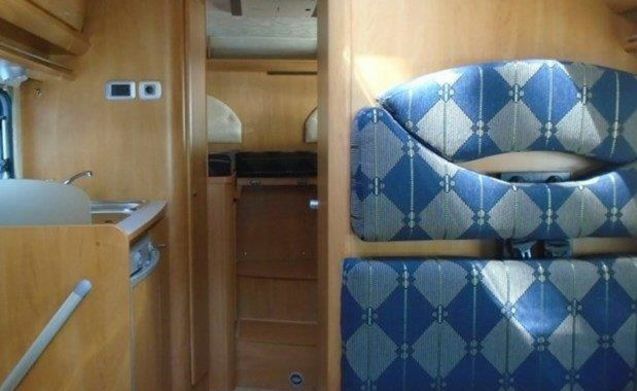 If you do not return the motorhome clean, € 75, = will be charged for cleaning. Excess: see information in the booking conditions. About the deductible the following; the basic deductible is E 1,300 per event; this amount is the same as the excess that the lessor has with his insurer. Goboony offers tenant the possibility to buy off this deductible of E 1.300, - in whole or in part. In addition to this risk, the lessor also runs the risk of reducing the No-Claim discount as a result of a claim notification for a number of years; the lessor will charge an amount of E 200.00 per incident for this risk. This amount is refunded to the tenant if there is no damage, or if the damage is less than E 1,300, -, and the no-claim discount is not reduced by the damage report.